Do you have a bloke at work who’s worked there for an awfully long time? 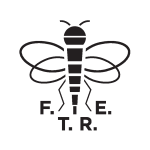 He might not be the high flier or go looking for the attention of the boss every 5 minutes, but he gets on with his work and if he disappeared you’d wonder how the place would keep running. Well for me, at Watford Football Club that bloke is called Lloyd Doyley and this year is his testimonial year. Yes, it’s really been 10 years since we saw a fresh faced, 18 year old Lloyd run on the Vicarage Road pitch to replace Pierre Issa. He’s gone on to make over 300 appearances, he’s been picked by 6 different bosses and scored one fantastic goal. 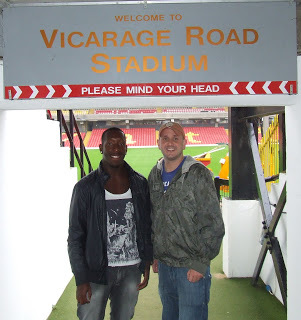 To help kick off his testimonial year Lloyd took FTRE on a bit of a tour of the backroom area at Vicarage Road. He talked to us about his matchday preparation, how the changing room runs, his heroes and contemporaries, his highs and lows, oh and of course that goal. 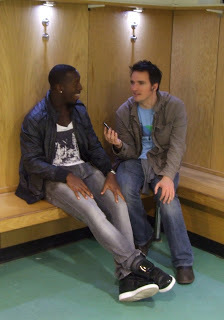 You might have heard 10 minutes of this interview on Podcast 2.1, but the exclusive FTRE Lloyd Doyley Special podcast is a full 30 minutes.